Murray Goulburn dairy co-operative has announced it will be conducting a comprehensive strategic review into all aspects of its strategy and corporate structure. MG has at the same time announced a 2018 financial year opening farm gate milk price for the Southern Milk Region of $4.70 per kilogram of milk solids. 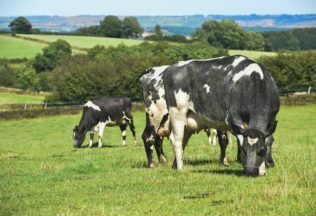 MG is also forecasting a FY18 full year Southern Milk Region farmgate milk price in the range of $5.20 per kilogram of milk solids (MS) to $5.40 per kg MS.
MG said the range is subject to various assumptions, including dairy commodity prices, exchange rates, achieving cost out initiatives and achieving milk intake of approximately 2.5 billion litres. Chief Executive Officer of MG, Ari Mervis, said MG has taken a “prudent view” in its forecasts. “Although global commodity prices have shown some recovery since this time last year, whole milk powder and particular skim milk powder prices remain under 10 year averages,” Mervis said. “This has been somewhat offset by firmer butter and cheddar prices,” he stated. MG also named recent Global Dairy Trade action results and current future prices as suggesting some ongoing price volatility in the global dairy market. Mervis said although the new forecast prices for FY18 are better than FY17 prices, MG’s performance remains below his expectations. MG’s strategic review will include examination of the co-operative’s profit sharing mechanism and capital structure. “I see this review as a fundamental next step to strengthen MG for the future,” Mervis said. Pizza Capers has launched its first vegan menu options. Vitasoy has launched two new plant milks into Australian supermarkets.